Intega is a pharmaceutical and healthcare specialist committed to providing access to affordable healthcare, proven quality medicines and first class treatments throughout South East Asia.A region of some 650 million people, it is nevertheless, a region of vast social, economic and political diversity. Our dedicated and passionate professionals combine international experience with exceptional local knowledge, fully conversant with the different rules, regulations and culture that exist in the region. We have a proven track record in implementing business strategies for large multi-national organizations in the emerging South East Asian markets and are able to deliver market entry and strong growth for healthcare companies that are looking to develop a transparent, trusting, long-term partnership. We offer market entry expertise for quality prescription drugs, particularly in the specialist fields of Oncology, the Central Nervous System, Cardiovascular and Urology, and for a wide range of medical devices and consumer health products. Our internationally trained team has many years of industry expertise across the South East Asia region that ensures we can efficiently and cost-effectively cover the market entry groundwork to ensure a speedy market introduction. In a world that may be dealing with matters of life and death on a daily basis, inventory management understandably can take a back seat - it is a recognized fact that, traditionally, healthcare systems have paid little attention to stock control and supply chain management. However, an inefficient inventory tracking system can quickly derail a smooth operation and generate wastage in both time and money. Now, Intega can help resolve this issue. We have developed the knowledge, technical expertise and IT systems to accurately monitor and replenish stocks. Our precise and easy to operate hospital inventory management system is highly efficient and custom designed to individual site requirements. Our people are personable, well trained and experienced in medical stock management and work closely with clients to ensure a seamless transition to the new system. The benefits, both to improved services and the bottom line are almost immediate. The rationale behind our name, and to us, the core of our business philosophy. We seek long-term relationships founded on trust; we only make promises we know we can keep (and then keep them! ); we always return product ownership to our partners at the end of a contract. We take decisions quickly; a small, lean, entrepreneurial company, we are nimble, flexible and not hidebound by internal bureaucracy; we are highly capable at adapting to the almost daily changes in local rules and regulations. We believe in, and are committed to, our mission of delivering and providing easy access to healthcare in South East Asia. We know that this is achievable through strong, dynamic business partnerships. For local laws; we are very good at working through the red tape, but we do not put ourselves or partners at risk of wrong-doing. For our customers and business partners. An acknowledged healthcare industry leader in Asia where he has lived and worked for nearly 20 years, Charles headed up the Global Healthcare Business Unit of a leading market expansion services provider prior to joining Intega. He has successfully driven global and regional business development strategies across the region, and brings strong P&L, business development, client management, supply chain operations, and leadership capabilities to our organization. With over 25 years of professional sales, marketing, logistics, financial and general management experience, Bernd brings passion, commitment, strong leadership skills and pragmatism to Intega’s management team. He has a proven track record in emerging pharmaceutical markets, both in Russia and South East Asia in General Management positions for a major pharmaceutical company. Most recently he was responsible as Regional VP in South Asian markets for a leading market expansion services provider where he was responsible for business development, a turnaround and the successful roll-out of a new strategy. Supply Chain Management is an operationally critical element of any market entry or expansion venture and Rebecca has 20 years experience in the field. This includes 10 years working for leading healthcare and medical devices companies in Asia where she successfully demonstrated her highly effective team development and leadership skills. She brings know-how, expertise and local knowledge to her role at Intega, where her key responsibilities include business development, demand and supply planning, inventory management and distributor management. With a B.Sc. in Pharmacy from the National University of Singapore and an MBA from Leeds University, Lina has a formidable reputation as both a pharmacist and general manager. She has been involved in a number of high profile product launches, as well as managing a successful turnaround, and brings a wealth of talent, experience and strong leadership skills to Intega, where her industry knowledge and background is vital in developing hard-hitting marketing and sales strategies. 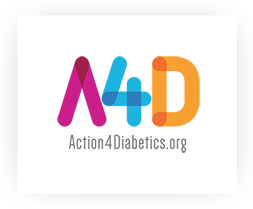 Action4Diabetics (A4D) saves and transforms lives by providing medical care and essential support to young people with Type 1 Diabetes. Operating in emerging countries in South-East Asia, the A4D Team strives making a positive impact in the lives of those who need our help. Diabetes has become one of the world’s major public health problems with an estimated 400 million people suffering from the condition. 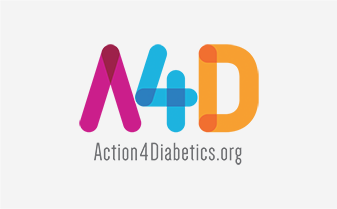 A4D is a frontline, UK registered charity, that is focused on tackling Type 1 Diabetes (T1D). Why Type 1? It is a deadly and incurable condition that, unlike other forms of Diabetes, is not caused by lifestyle or diet but strikes indiscriminate. T1D normally presents itself in children between the ages of 5 – 15. But, with the right care and support, a person with T1D can lead a full and active life. Why South-East-Asia? Historically, in the countries where A4D are present, 1000s of young people with T1D die every year; either through a lack of correct diagnosis or an inability to afford and access essential medical supplies. But A4D are changing this. Currently, it is estimated that 400,000 people with Type 1 Diabetes live full and productive lives. Indeed, the Co-founder, Jerry Gore, is a Type 1 Diabetic who has climbed some of the most physically demanding mountains in the world. Jerry is a global role model for the diabetes community and an inspirational ambassador for Action4Diabetics (A4D). This makes the pain and suffering of untreated T1D all the more poignant. In countries such as Myanmar, disadvantaged people with T1D have been unable to access the life-saving insulin and support that they need, but we are changing this. A4D started activities in Myanmar in September 2015, having discovered what they believed was a significant unmet need in the country. This became evident after they had realised that there were literally only a handful of children with Type 1 Diabetes diagnosed in Myanmar, compared to Thailand which had over 2500 children below the age of 18 with the condition. The population of Thailand is 20% more than Myanmar so they had more or less assumed there would be some 2000 cases in Myanmar. This proved not to be the case at all.